One Sunday, earlier this month, we made an excursion from San Francisco down to Sunnyvale--where Karina and I had spent a good portion of our childhood--for a quick drive-by to check out our old haunts, then continued towards the coast to Santa Cruz for a full-on beach day by the boardwalk. After a few hours of fun in the sun, we made our way back towards San Francisco via the Pacific Coast Highway. Along the way, somewhere between Santa Cruz and Half Moon Bay we made a stop at the Swanton Berry Farm in Davenport, right alongside the PCH. We'd never heard of the Swanton Berry Farm until we caught June Taylor's workshop at Copia the week before, but once we did we seemed to keep hearing "Swanton Berry Farm" everywhere we went. 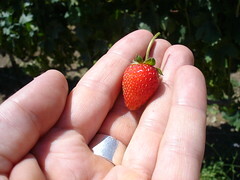 June Taylor mentioned that Swanton Berry Farm's strawberries were the ones she preferred for her preserves and syrups; she was among many in the Bay Area who seem to consider Swanton Berry Farm's strawberries the best in America. 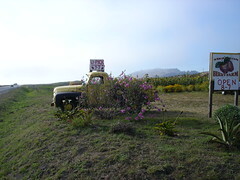 We'd gotten the impression that Swanton Berry Farm was down by Watsonville and we were planning on paying them a visit as part of an excursion to the Monterey/Carmel area. Good thing we chanced upon their actual location in Davenport, because we never did make it down to the Monterey Bay area. It's not hard to see why Swanton Berry Farm's strawberries are so choice. The coastal region it occupies is both scenic and fertile, and the conditions there are certainly ideal: lots of warm, sunny days, and plenty of nice, cool fogbound nights. Add to this the fact that the farm is 100% organic and that it operates entirely on union labor, and you have the perfect environment for the perfect strawberry. It was about 6:00 PM at the time that we pulled into Swanton Berry Farm's gravel parking lot and we were pleasantly surprised to see that not only was their shop still open, but their U-Pick strawberry field was too. We didn't have time to stop and pick strawberries because we had a rendez-vous back in San Francisco, but we went into the shop to see what they had on offer. We sampled one strawberry and that was all it took. Next to the wild strawberries we feasted on as kids on our summer vacations in Eastern Quebec, these were easily the best strawberries Karina and I had ever had. They were unbelievably sweet, but like all great fruit, it wasn't just about the sweetness; these strawberries had real depth of flavor and great texture. We gave one last thought to going the U-Pick route ($1.50 per pound for the best organic strawberries you could possibly imagine was more than a little tempting), then picked out 3 very generous baskets of strawberries for $7.00 (still a great price). In addition to having fresh picked strawberries, the shop also sells homemade pies, homemade preserves, homemade gelato, and a whole host of other treats. Best of all, it operates on an "honor till" system. We hopped back into the car and continued to head north along the PCH. The views were great, but that basket of strawberries that we polished off in the car was even better. It took true restraint to save the other two baskets for preserves. So we finally got around to having one of the meals I’d been dreaming about since last week. I made a trip to Nouveau Falero to pick up some “sushi grade” yellowfin tuna and some Japanese sushi rice. Tuna costs a fortune, of course, but I only wanted a small piece, one just large enough that we could split it in two and still have a few healthy bites. I knew that incomparable tuna flavor would go a long way. I wanted some kind of green as part of the meal, and I’d been weighing the pros and cons of baby bok choy when we suddenly got some wonderful fresh spinach from our friend Hermine that was of a variety neither of us had ever encountered. In terms of look and flavor, one got the impression that it was a cross between spinach, red chard, and beet greens. We cooked our rice as per the instructions on the back of the package—1 1/4 cups of water to 1 cup of rice, a dash of salt, and a 25-minute cooking time—then added a light mixture of rice vinegar, salt, and sugar before fluffing it. In the meantime we stir-fried the spinach leaves with just a bit of canola oil, a touch of sesame oil, some ginger, some garlic, and some salt. Finally, we pan-seared the tuna in a non-stick pan on medium-high heat, leaving it perfectly rosé on the inside, as it should be. 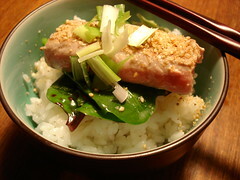 We garnished each bowl with toasted sesame seeds and scallions. Total cost for two: well under $10.00. PS--Thank you, Hermine, we loved the spinach and it complemented the meal perfectly. Sometimes nothing beats rice. It's a good thing that we're both huge fans, because I go through phases where I could eat rice with my meals for days on end. And while I love all kinds of rice, I'm particularly fond of a nice basmati rice dish. This week was one of those rice weeks. A few days ago I suddenly announced I was going to be hitting the Asian-inspired dishes hard for a while. I was craving stir-frys and Japanese-style seafood dishes served on beds of rice, I was craving eating out of our Japanese bowls. As it turns out, I've yet to make any of the dishes I envisioned, but we have been enjoying our basmati rice. Friday night we made a recipe we'd made once before and had been dying to make again ever since. The recipe we used was based on one we got from our good friends at Les Touilleurs on Laurier, and it's basically a Moroccan-spiced salmon dish (if you can imagine such a thing). It also happens to be an amazing recipe, and we thank them for it. Preheat your oven to 400 F. In a mortar, grind the cumin, fennel, and coriander. Transfer to a serving dish and add the salt and pepper, mixing evenly. Rinse and pat dry your fish fillets. Place each fish fillet in the spice mixture, flesh-side down (skin-side up), so that each fillet is evenly covered on one side with the mixture. Heat the olive oil in a non-stick, oven-ready pan over medium-high heat. Cook the fillets in the pan for 3 minutes, flesh-side down. Finish cooking the fillets by baking them in the oven. Depending on the thickness of the fillets, this may take another 1-3 minutes. If you like your skin crisp, broil the fish for the last 30 seconds. Sauce: in a saucepan, combine the juices with the zest, and place them on medium-high heat. Reduce this mixture down to 1 teaspoon. Allow to cool. 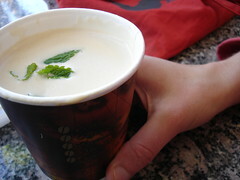 Blend the juice mixture with the yogurt in a bowl. Salt to taste. 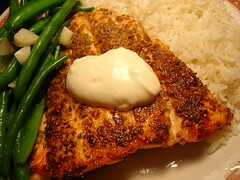 We served the salmon fillets with a dollop of the yogurt sauce, some green beans sauteed with new garlic (yes, those are hunks of garlic in the photo), and basmati rice. We left the delicious yogurt sauce on the table for additional dunking and made good use of it. Last night I made one of my favorite recipes, one that we mentioned a number of months ago when we wrote about a saffron chicken dish we'd made, but which we've never really discussed in detail. It's a variation on a recipe from Vij's, a fantastic nouveau Indian restaurant in Vancouver that I frequented for years when I lived out there (going all the way back to the time when Vij's was just a hole in the wall on Broadway). The original recipe--Oven-roasted Eggplant and Butternut Squash Curry, a modern take on a traditional bharta dish--originally appeared in The Globe and Mail a few years back as part of a profile on "new Indian" and Vij in particular. Although I like the version with squash, I make this recipe much more frequently with just eggplant, and my favorite version is the one I make during the warm weather months when we have access to our outdoor grill: Grilled Eggplant Masala. Grilling the eggplant so that they're lightly charred gives the dish the most wonderful smoky flavor. Heat oil in large heavy frying pan on medium high heat for 30-45 seconds. Sprinkle in the asafoetida powder and cumin seeds and let them sizzle for about 45 seconds. Don't let the cumin seeds turn dark brown or black in colour. Add the chopped onions and sauté until lightly browned. Add the coriander, ground fenugreek, black pepper, cayenne and salt. Sauté for one minute and add the tomatoes. Sauté the tomatoes for approximately 5 minutes on medium heat or until the oil separates from the mixture. You now have the "masala" for the curry. Preheat your BBQ to medium heat. Slice the eggplants in two lengthwise. Brush with a bit of oil and sprinkle with salt. Grill the eggplants on the BBQ until the the flesh has turned extremely tender and the skin has become lightly charred. If the eggplants are charring too quickly, move them to a cooler part of the the grill or to the upper rack and allow them to cook slowly until the flesh is cooked through. Remove from heat and scoop the eggplant out of its skin, discarding the skin. Add to the masala. Mix well and heat on medium for 5 minutes, using a spatula to chop the eggplant as you stir. Stir in green onions and chopped cilantro at the last minute and serve. 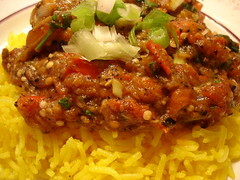 I served the Eggplant Masala with saffron rice and some nan bread. It's amazing how many people out there are afraid to make rice. If you have a good pot, with a nice, tight lid, and you follow the directions below, there's nothing to fear. So here, finally, is a rice recipe. Melt the butter in a medium pot (one with a tight-fitting lid) over medium heat. Add the saffron and stir for 15-30 seconds. Add the rice and sautee for 1-2 minutes. Add the water and raise the temperature to high, stirring occasionally. When the water begins to boil, stir the rice well one last time, turn the heat down to low, and place the lid on the pot. Simmer the rice for 18 minutes. Remove from heat and allow to stand for 2 minutes. Remove the lid, fluff the rice with a spoon or fork and serve immediately. When you make the kind of tour of the Bay Area that we did (i.e., one that's very much focused on the local delicacies), you very quickly become aware of the massive influence Chez Panisse has exerted on the region. 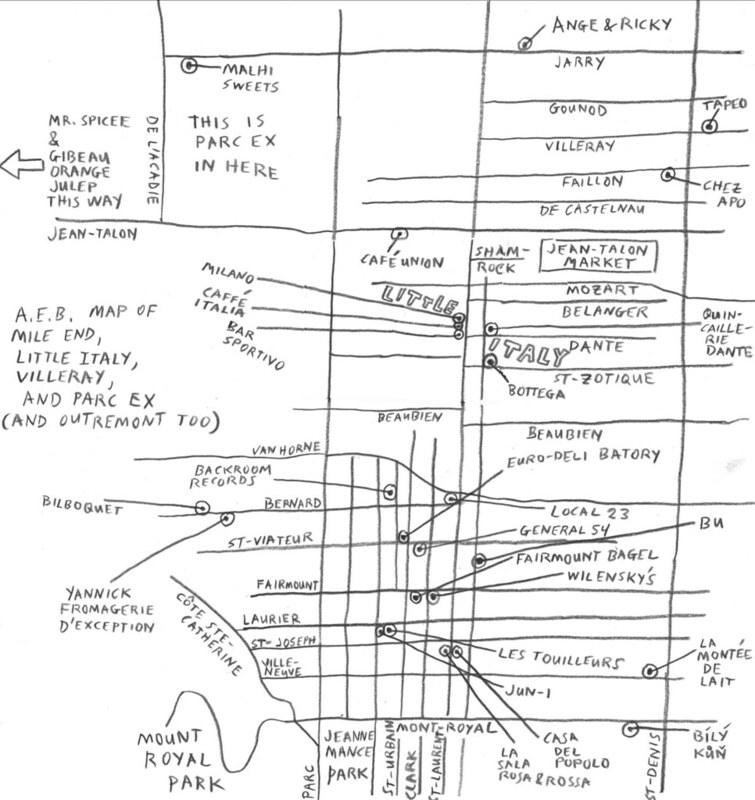 Not only did Chez Panisse more or less single-handedly transform its district into a teeming food haven, not only did it help foster the local organic foods movement of the last 30+ years, but everywhere we turned we encountered businesses (restaurants, bakeries, cheese shops, etc.) that had been started by people who had once worked at Chez Panisse. And while this family tree was weighted towards food-related businesses, it also included a host of people who'd gone into other creative professions. The truth of the matter, however, is that Chez Panisse itself was the product of a particular moment that followed in the wake of the Berkeley Free Speech Movement. 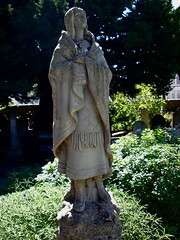 Berkeley had had a bohemian side to it for decades, but in the mid-1960s it became a powerful magnet for a particularly passionate and committed scene, and many of these people remained in the region, laid down roots, and began to establish a way of life that challenged the accepted notions and conventional wisdom of the day. One of the businesses that was started during this period, was a source of inspiration to others, and that clearly reflects the energy that was in the air at the time is The Cheese Board Collective, founded in 1967 (some 3-4 years before Chez Panisse set up shop just around the corner). What started off as a tiny, collectively run cheese store soon turned into a very successful bakery/cheese store, one that has continued to grow and expand slowly over the years, but one that has always remained steadfastly committed to its original vision. I first discovered The Cheese Board back in the early 1990s, when I started visiting my sister in the years when she was attending UC Berkeley. She was lucky enough to have lived around the corner from The Cheese Board (as well as Chez Panisse, the Juice Bar Collective, and a number of other interesting businesses that populate the area), in a house on Francisco Street (this being Berkeley, there were a couple of peacocks that ran wild in her backyard and the backyards of her neighbors at the time). I got very attached to The Cheese Board's impressive selection of cheeses, their excellent sourdough-based baked goods, and the shop's relaxed atmosphere. Their cheeses and baked goods were the heart and soul of many nice meals. Some 10+ years later, I was glad to see that The Cheese Board Collective was just as active as ever. Michelle and I ended up going there twice, but both times we had to focus on their baked goods instead of their cheeses because we were cooler-less and therefore not in a position to buy cheese. No matter, we were all too happy to stick to their excellent scones, "chocolate things," English muffins, curry buns, and other treats. This time I was particularly happy to find out that the bialy had found a home at The Cheese Board. 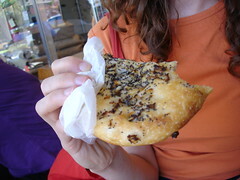 This was a real bialy, too, not the bland, anemic, and overly doughy pseudo-bialys I've been encountering in New York over the last few years. Without question, though, the most impressive treat that we got at The Cheese Board was their pizza. Pizza became a part of The Cheese Board's repertoire some 20 years ago. Typically, it began as a small operation that was run out of their in-store bakery. Their pizzas soon developed a loyal and, frankly, ravenous following, though, and the collective's members eventually established a second collective, one that would deal only in pizzas, in a shopfront just a couple of doors down from their store on Shattuck. The first time we visited The Cheese Board the pizza collective was closed for a week of vacation, so thank God we were in the area for two weeks, because it gave us an opportunity to come back. And come back we did. We met at The Cheese Board Pizza Collective for lunch one day just as the line-up was really beginning to grow (the pizza collective is only open from 11:30 AM - 2:00 PM and from 4:30 PM - 8:00 PM, Tuesday through Saturday). The pizza collective only offers one pizza per day and you can purchase their pizzas by the slice, whole, just out of the oven, or whole, half-baked. 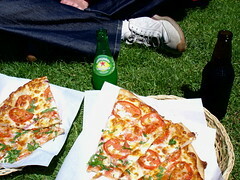 We ordered two slices each, a couple of beverages, and then made our way to the nearest strip of grass to sit and have a picnic. The pizza we had that day was easily one of the top three pizzas I've ever had in my life (only American Flatbread's pizza in Vermont and the pizza my sister and I had in Marseilles are in the same league). The pizza of the day that day was one with Roma tomatoes, feta cheese, mozzarella cheese, red onion, cilantro (! ), and lemon zest (! ), and one secret, unlisted ingredient: just a bit of fresh squeezed lemon juice (!!). Highly unorthodox, I know, but you wouldn't believe just how good it was. We found out later that this was the most popular pie that they make, and with good reason. Just how good was it? Well, for some reason, that day every order by the slice came with an extra sliver of pizza thrown in free of charge. That pizza was so good we never wanted it to end, and we gave praise for that extra slice. It just so happened that the day after we arrived in San Francisco June Taylor was giving a preserve-making workshop at Copia, a fancy new-ish cultural center for food and wine located in Napa. I chanced upon the announcement on her website. What luck! If you want to get a sense of why I was so excited, you can take a look at a previous post about her from a few months back here. We left bright and early so we could take full advantage of the surrounding area, making a quick pitstop at Philz and Tartine. [More on Tartine soon, I promise--m.] The drive was beautiful. Wild fennel lined the roads adding much to the already striking North Bay scenery. We arrived at Copia about an hour before our workshop, walked through the center, tasted a few wines and beers they had to sample, stopped at a nearby farmer's market, and saw a bit of the grounds around the center. The quince tree was awfully tempting with its perfect fruit, but I stayed strong and didn't steal one. The workshop consisted of a series of tastings; preserves, fruit, and a glass of wine. All the while June spoke informally about making preserves: how she got started and where she is going, the importance of knowing where your fruit comes from: who grows it, where, and how... She was such a warm person, I immediately warmed up to her, as did others, judging by the amount of questions and comments she inspired. I can credit her with having finally given me the complete freedom to use the amount of sugar I think is best rather than following some "safety" guideline which renders all preserves the same: sweet. She then took us around the grounds of Copia, along with the head gardener. We smelled and tasted all kinds of fruits and herbs and talked about possible combinations to use in preserves. The highlight of the tour was the Mulberry tree. Such perfect, sweet, ripe berries. I could have gorged myself like a silkworm, but much of the fruit was out of reach on the highest branches. After her talk, I approached her and asked if I could drop in on her workspace while I was in San Francisco. 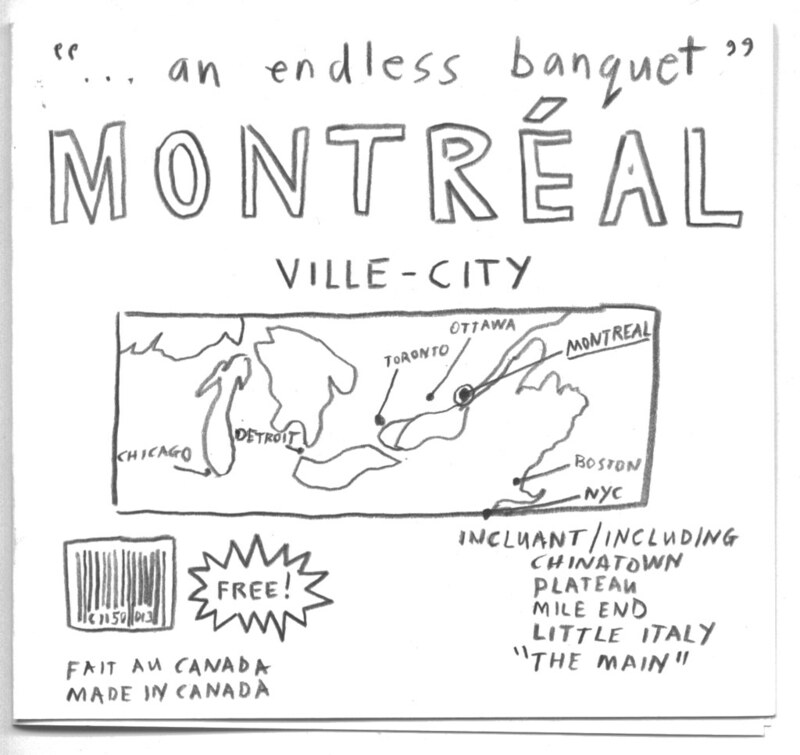 She said I just needed to give her a call to arrange a day for a rendez-vous, and that she'd look forward to my visit. 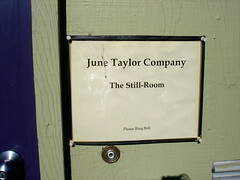 The next week, I found myself walking down a long street in Berkeley towards June Taylor's Still-Room. It is situated near the water in what looks like an up-and-coming neighborhood. 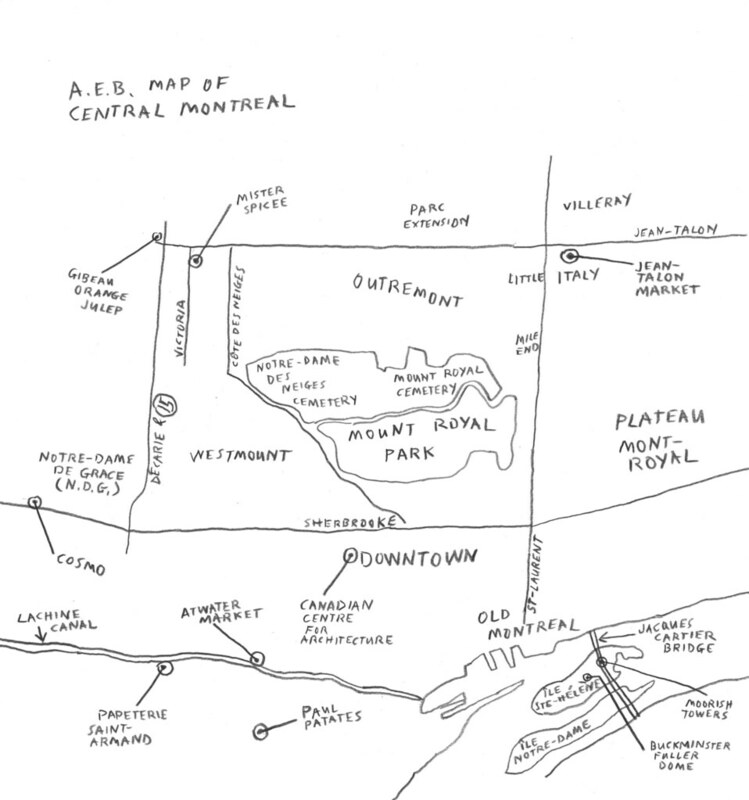 The area used to be an industrial one, but now houses all kinds of boutiques, restaurants, and even a distillery. I found her in the middle of making a batch of plum jam. She took my arrival in stride, warning me that when the jam was ready, she'd be moving pretty fast, but otherwise my timing was good. 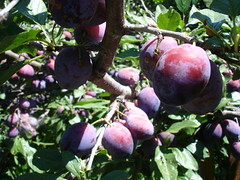 The sweet and tart smell of the plums permeated the space. The front area is being arranged into a storefront, which is great news for all you Bay Area residents, and all those planning to visit the Bay Area in the near future. You will now be able to go to one place and choose the exact preserve you want, rather than being at the mercy of what select stores happen to carry. It is impressive to look at her entire catalogue made physical in the form of stacks upon stacks of boxes, each filled with a different sort of preserve: meyer lemon marmalade, greengage plum butter, strawberry-rose geranium conserve, blackberry-lemon verbena conserve, three fruit maramalade... And her line of syrups is growing alongside her preserves. Behind the storefront space is her large kitchen. The ceiling is quite high and has a skylight, which adds to the light airiness of the room. The walls are white. The kitchen is arranged in an organized and uncluttered manner. This is definitely not the kind of home kitchen table where life's mess is swept aside to make way for the huge pot of bubbling preserves; preserves which somehow have to find their way into the jars without making too much of a mess or tipping over (i.e. my kitchen). This is definitely not the kind of kitchen where June got her start some 17 years ago. We talked for a long time about her beginnings, the long hours and the years it took for her to get to where she is. She's worked hard so as not to make compromises. Her batches are impossibly small when compared with most other preserve companies, 30 jars being her average per batch. This is the way she started things, and this is the way she intends to continue her operation into the forseeable future. She stirs every batch, tastes and adjusts it, holds it up to the light. This may not make for the soundest business plan, but, then again, she's more of an artisan than a businessperson, and this is also why her preserves taste like no others. We spent a few hours together, drinking tea, chatting, and overseeing the batches as they neared the finished stage. It was a lovely way to spend an afternoon and I came away from the experience energized. I learned a lot from her in those hours, but, more importantly, I felt that I'd found a kindred soul. 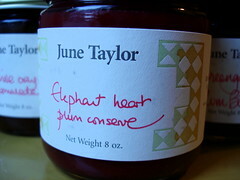 She jarred up the elephant heart plum conserve and left the jars to seal on a rack. I can't wait to open mine up and eat it on some fresh bread, or better yet, share it with friends over a lovely autumn dinner with wine and cheese. You can find her preserves on her website, the farmer's market at the Ferry Terminal, or at a few stores in the Bay Area, such as Peet's or the Cheese Board. So, we got off on the good foot almost as soon as we arrived in San Francisco, and things never really let up the whole time we were there [as you'll see--ed.]. Case in point: our visit to Swan Oyster Depot on our last day in town. Swan was right at the top of our list of places to check out while in the Bay Area and when we still hadn't gone there during our first week we decided to make it part of our closing ceremonies. Everything we'd read about Swan--the absolute freshest seafood, its long history, its classic counter service, its reasonable prices--made it sound absolutely amazing. But we really got the bug to go there a few days earlier on a trip to Santa Cruz when Michelle tried Dungeness Crab for the very first time and I re-experienced it for the first time in some 20 years. We had it in the form of a crab sandwich and what looked like the simplest arrangement imaginable--two slices of bread, a pile of crabmeat, some Crab Louie sauce, and some salad fixin's turned out to be the hit of the day. After that, we were determined to have more Dungeness Crab (even if it wasn't exactly the season) and we'd decided Swan was going to be the place. We showed up just before the lunchtime rush kicked in and got seated at the far end of Swan's counter, near the kitchen. I loved it from the moment I stepped in. 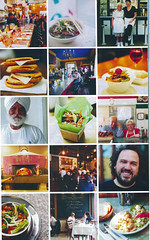 What a beautiful space and what a perfect atmosphere, friendly and unpretentious. We'd been eating pretty well on this trip and I didn't have an enormous appetite when we showed up, so I arrived thinking that maybe I'd just have a few oysters and a bowl of clam chowder and leave it at that. I hadn't been expecting the impact of seeing the wide selection of seafood on offer at Swan. Fish, smoked fish, clams, oysters, shrimp, crab--it all looked so tantalizing. We stuck to our plan and ordered a couple of bowls of clam chowder and some oysters, and then we decided we'd sniff around for something else to round out our experience at Swan. 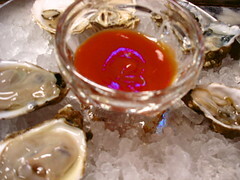 That day, Swan had a selection of five different oysters to choose from. We're much better versed in Atlantic oysters and even French oysters than we are in Pacific oysters, so we weren't sure how to begin. Our waiter made things very simple for us by offering us a sampler platter, then serving us eight oysters on the half shell for the price of six (that's just the kind of place Swan is). All four types of oysters were among the best I've ever had, so good you didn't want much dressing on them, just a bit of lemon juice. But the ones that impressed us the most--both in terms of taste and aesthetics--were the Tomales Bay Miyagis, which had a lovely delicate blue hue to them [you can see one towards the upper right corner of the photo above--ed.]. 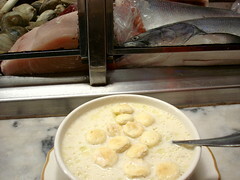 Swan's clam chowder was the real deal, no thickening agent, just a whole lot of clams in a simple, hearty chowder, made with a lightly creamy broth, unlike the typically gloppy clam chowder we'd had just a few days earlier in Santa Cruz. In short: perfect. By the time we'd finished our chowder and oysters we still hadn't made up our mind what the next act was going to be. Luckily, we'd struck up a conversation with a Swan regular named "Pat" who was sitting next to us, and she became a consultant of sorts for us. We debated the pros and cons of various dishes and combination dishes then finally settled on an unlikely combo. You see, we don't have any shortage of good smoked salmon back in Montreal (between the in-house smoked salmon at Leméac and the Wolf's Head smoked salmon that comes in from New Brunswick, we're pretty happy), but Swan had the most beautiful whole smoked salmon fillet laid out on their counter when we arrived, and I found it hard to take my eyes off it. When I asked Pat about it she said it was good, really good, "like candy," and that it was made locally by some guy near Point Reyes (if I remember correctly). I asked one of the counterhands how they serve it and he said they serve it as a platter with some bread (sourdough or rye) and whatever additional fixin's we wanted (capers, red onion, etc.). He said they could also do the smoked salmon as part of a combo platter with a shrimp salad. Michelle and I discussed the matter for another minute and then decided to get the combo with an upgrade to a Crab Louie in place of the shrimp salad. That smoked salmon was truly outrageous, and I had absolutely no regrets about ordering it. The Crab Louie was fresh and tangy, with big chunks of that oh-so-flavorful Dungeness Crab meat (it's naturally sweet and a little briny). We couldn't have been happier. There were still plenty of temptations to be had at Swan when we finished, but we'd eaten well, and we'd been there for about an hour, so, god knows, there was a line-up of people patiently waiting to get in by that time. We paid our bill, paid a couple of fond farewells to Pat and the counter staff, and headed on our way. Getting back on the food tip (as they say), our trip to San Francisco was made up of a series of revelations, some of which had a rather profound impact. Not the least of these occurred on Day 1. 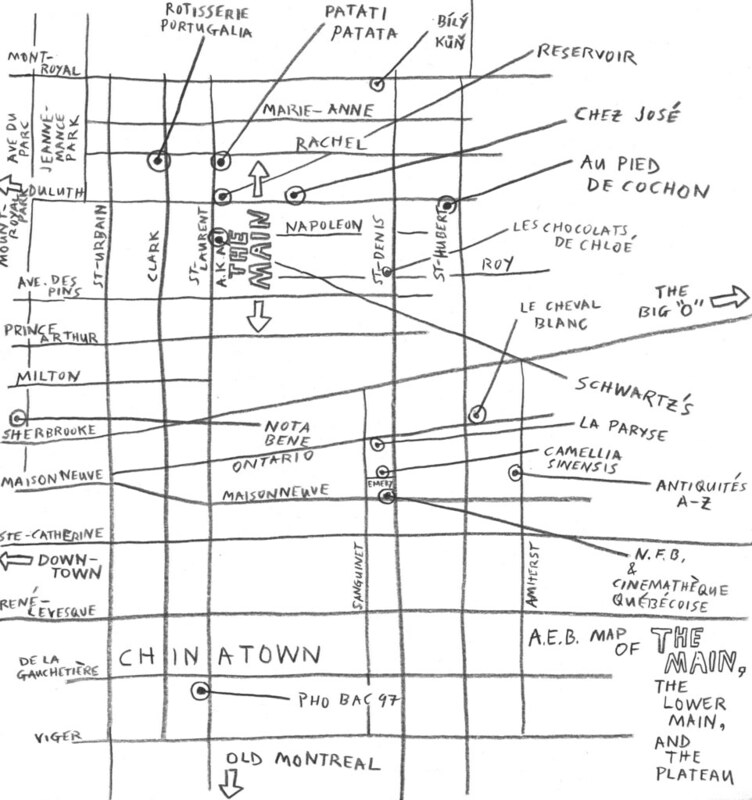 Somehow we'd gotten ourselves booked on a hellish flight plan on our way out to California, one that took us from Montreal to New York at 6:00 A.M., then continued on to San Francisco International Airport with a 6-hour flight. The gods were apparently smiling down upon us, though, 'cause we scored these amazing seats on the New York-San Francisco leg that were in their own little quiet compartment, between two sections in coach class and next to a flight attendants' workstation, and that had seats that fully reclined (!). We showed up in San Francisco in half-way decent shape, actually, and because it was still only noon when we got there, we had a half-day to play with. We decided to not waste any time and just head down to the Mission District from my sister's apartment in Noe Valley and dig in to our first burrito of the journey. For our first one we went to a place I've been going to for about 10 years now and which I've always found friendly and tasty: Casa Sanchez. Not only do they make excellent tacos and burritos, but their salsa and chips are outstanding, free, and "bottomless" (courtesy of a handy self-service bar), and they have a beautiful courtyard. Afterwards, we were in the mood for our first coffee of the day. We'd made an attempt to score a coffee in JFK, but the results were undrinkable. I'd told Michelle that San Francisco was riddled with good coffee houses and espresso bars--this was her first time to San Francisco, after all--and that, in fact, San Francisco was one of the few cities in America where you'd been able to get good, strong coffee prior to about 1990. A couple of blocks up 24th St. from Casa Sanchez we came across a coffee house, and it looked kind of interesting. It had a generic sign outside declaring that its coffee had won a Best in the Bay award, but what really intrigued us was their own sign announcing the fact that they served "handmade" coffee and that each coffee was made "one cup at a time." We didn't know it at the time, but the gods were smiling down upon us once again. Behind the bar they had a sign listing all their espresso-based drinks, but they also had a sign with all their "handmade" coffee selections, and each of these sounded a whole lot more interesting. I initially ordered a Arabic-style "handmade" coffee, but when another patron ordered a "Philharmonic" blend I asked the barista to change my order to one of the same. She ground just enough coffee beans for my order, then threw them into a large, long paper coffee filter held in a stand and placed the coffee cup underneath. Then she threw a couple of secret potions into the filter along with the beans and added a long, steady stream of boiling water. She asked me if I wanted cream and sugar and I said, "yes." A minute or two later she handed over my perfectly brewed, perfectly creamy, and perfectly sweetened Philharmonic and I headed over to where Michelle was sitting. I took a sip on the way and it nearly blew my mind. I took the lid off the coffee and saw that it had a mint sprig on top. I handed to cup to Michelle and said, "You're not going to believe this." Neither of us had ever tasted a coffee as exotic or delicious ever before. We both take our coffee quite seriously and we've both done a fair bit of traveling, but we'd never experienced anything like that first Philz "handmade" coffee, with its strong hints of cardamom, its wonderfully mellow depth, and its mint finish (sounds crazy, I know, but the sprig is really an stroke of genius). 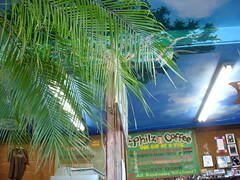 Needless to say, we got seriously hooked by that first Philz coffee and Philz became a touchstone for our trip. We went back at least half a dozen times and we tried almost all of the "handmade" blends they offer. We made a point of initiating my sister into the brotherhood (she'd never been), and then we started making the silliest excuses just so we could pass by Philz. The Philharmonic remained a favorite throughout the trip, but we also became very attached to the Jacob's "Wunderbar," which was a little less spicy, but was made with a stronger roast, and the Phil's Tesoro Mocha was also a big hit, although the intensity of its chocolate flavor made it a "special occasions" blend for us. One time we stopped by and Michelle ran in for a couple of take-away coffees before we headed out to Treasure Island. When she got to the bar Phil himself was waiting for her. He asked her how she was doing and she responded, "I'll be a lot better once I've had my Wunderbar." Phil looked at her and said, "You're already fine." She was on Cloud 10 when she got back to the car--Phil is a very charming man who sports a dashing and unpretentious fedora and has a sly sense of humor. Which brings me to another point: the atmosphere at Philz takes a close second to their amazing coffees. Like many other San Francisco coffee houses the interior design is whimsical and eclectic and the place is frequented by regulars who can only be described as "true originals," but how many other coffee houses in San Francisco (or anywhere else, for that matter) can you purchase a potted plant with your coffee? By the end of our trip I was only half-joking that Philz alone had been worth the price of our airfare out to San Francisco, but if you don't believe our hype, check out the testimonials that you can find online on the topic of Philz, or, better yet, go there yourself. Actually, let me finish with yet another anecdote. Last night, we were gathered at Le Pocket Palace, talking with Hermine and Kazi about our trip over a glass of wine. We had gotten on the topic of Philz, as we're wont to do these days, and we were giving them the full lowdown: the "handmade" process, the use of spices and herbs, the devoted following, the rapture, etc. I was going off on some spiel about San Francisco being a city of coffee houses, but that nothing could compare with this coffee house we'd found there, when I noticed a young woman listening in on our conversation, waiting to see which coffee house I was going to name, waiting to weigh in with her own opinion. When I named the coffee house in question as Philz, she turned to us and said, "You mean the place on 24th?" Turns out she had lived just around the corner on 25th St. for six months and had become a very regular regular during her time there. Imagine her surprise. Imagine ours. 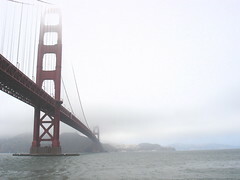 That's right, we're back from our trip to San Fran and environs and, boy, do we have stories to tell. We just spent the evening telling tales of orchards, oysters, and handmade coffees. We had to get ourselves warmed up for the flurry of posting that it's going to take to get y'all caught up. The photo above doesn't have a whole lot to do with food, but it does have a whole lot to do with Vertigo, and Vertigo was an important part of our trip. We re-watched Vertigo just prior to leaving in order to bone up for our trip and we tried to make as many Vertigo-related stops as possible while we were away, from San Juan Bautista to Muir Woods to the Palace of the Legion of Honor to Mission Dolores. I picked up The New York Times in the airport for our flight home and I noticed in the obituaries section that Barbara "Midge" Bel Geddes had passed away. 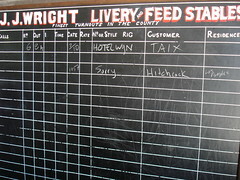 We'd made numerous references to Midge and her Telegraph Hill apartment over the course of our stay. Others may have known her as "Miss Ellie," but she'll always be Midge to us. 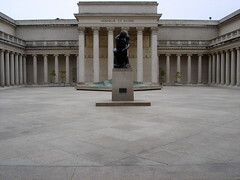 We hit the Palace of the Legion of Honor on our final day in San Francisco. We got let in for free because the museum was just about to close, but, again, we found no sign of "beautiful Carlotta, sad Carlotta." 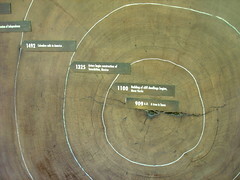 Michelle complained that an earlier version of this post ended abruptly. I had to remind her that Vertigo also ends rather abruptly. By special request, here is the recipe for Nougabricot jam from this post. 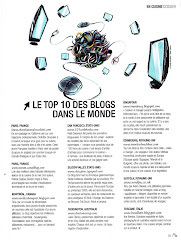 It's from Christine Ferber's Mes Confitures. -Cut apricots in half and pit them, reserving some pits which you will then smash and remove the nuts. -Mix apricots with sugar, honey, orange zest and juice, and lemon juice. Cover and let sit one hour. -Bring mixture to a boil and pour into a non-reactive bowl, cover with parchment paper so it touches the surface, and place in fridge overnight. -Pour mixture through a jelly bag or cheesecloth, reserving the juice. -Peel the skin off of the apricots. -Bring the juice to a boil and stir it until it reaches 105 degrees celcius. -Add the apricots and nuts, bring it back to a boil, simmer a few minutes, skimming if necessary. -Place in clean, dry, sterilized jars, adding a few apricot nuts to each jar, and seal.